The Virtual Academy of Elk Grove Unified recognizes that every student is unique. While succeeding in the classroom is important so is thriving outside of the classroom. From sports teams to academic teams, students and families who choose to enroll in the Virtual Academy have more options and flexibility to pursue their passions outside of the classroom. One student, 13-year-old Neil Nayyar chose the Virtual Academy and an individualized program for this very reason. Not only does Neil excel in academics, he’s also a musical prodigy. Neil can play as many as 100 musical instruments, consisting of flutes, drums and the didgeridoo. 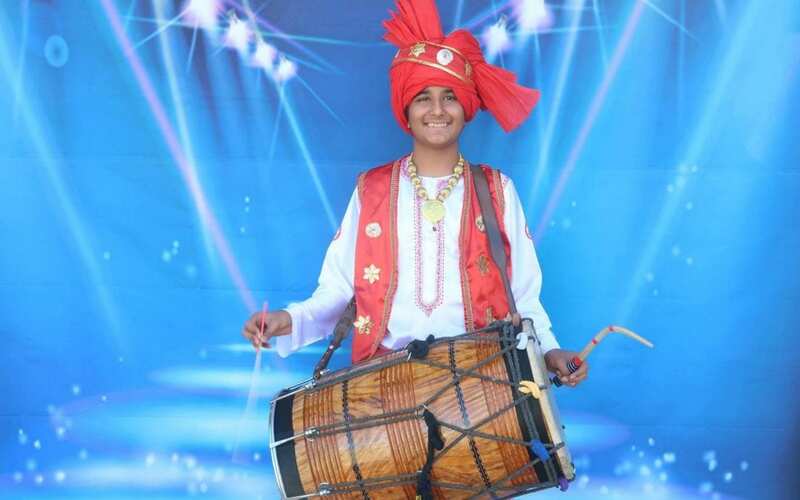 He is believed to be the youngest person to play so many different instruments. Much of Neil’s learning has been by ear, but he also has 12 music teachers to help him fine-tune his skills. Neil’s other hobbies and talents consist of painting –he has 100 oil and watercolor paintings, martial arts and Bollywood dancing. Neil also enjoys listening to Bollywood artists like Kishore Kumar and Mohd. Rafi. For his long-term plans, Neil hopes to someday have his own band. With his personalized education at the Virtual Academy, Neil can still be a full-time student who can complete his education online and have access to certificated teachers who are available to help him be successful in academics and with his talents in the arts. Your child is unique, and the Virtual Academy of Elk Grove Unified celebrates that uniqueness by providing a rich, challenging and individualized learning experience for each of our students. Our school offers flexibility, support, and enrichment tailored specifically to your child’s needs. Whether you are homeschoolers, budding athletes or actors, homebound, or even just looking for an alternative to the regular classroom experience, has something for everyone. Our highly trained, dedicated, certificated teachers oversee and monitor the progress and curriculum and work closely with the Learning Coach to provide a comprehensive educational experience. In addition to the academic side, we host exciting field trips to farms, PE days, historical sites, art contests, gingerbread building events and monthly socials to allow our families to develop friendships, support groups and just have a lot of fun!